It is round two of Spring in GA, as the gardens make their comeback! The blast of winter just as the buds appeared to greet us has not defeated the determined! I brightened up when I saw my brand new azaleas enduring winter and blooming for the very first time! I rejoiced in how endings are gracious by making way for new life! Practicing yoga has been the key to staying balanced as many hold their breath in the unfolding of the unknown. My plans for starting our Yoga Tribe still await the Divine workings of the universe. I am so excited to gather soon enough with like minded community in yoga breathing, meditation and live yoga music vibes. In between, the manifestation, I’m keeping myself stable by practicing some key poses. One of them beingStanding Half Lotus. 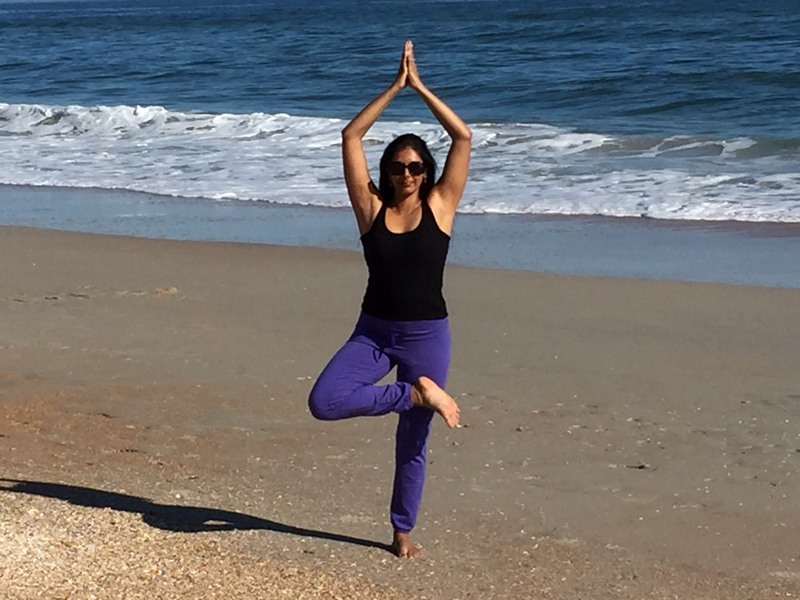 Whether it takes holding a wall, your foot or holding focus on one spot, This pose is great for Spring activities. *creates grounding through the each moment. Another great one to try is the Anjaneyasana. Who can resist the beautiful hiking trails this time of year? I got a great gift from the serene Dahlonega Spa and Resort this weekend where I was giving some massages. Everytime I walk the labyrinth, it’s a trip! I heard this quote within, as I made my way through the mystical spiral. Don’t let someone’s failure make you nervous about succeeding. I get that trying to sell my current house after over 50 showings isn’t a failure, even though other houses have sold. ts a success that has not yet manifested for whatever reason. AND….Being the new Health Science & Massage Instructor at the Atlanta School of Massage WILL be a journey made of my unique footprints made on a path lighted with inner guidance! What a blessing! Wishing you a fulfilling Spring and Faith in all your endeavors!